One of the biggest complaints we often hear from parents when school starts is how hard it can be to keep them well. This fall, don't be caught by surprise by passing germs. There are some important and relatively easy things you can do to boost everyone's immune system, to cut down on illnesses and keep everyone performing at their best. 1) Vitamins, Vitamins, Vitamins! It may sound redundant, but Vitamin C and Vitamin D are super important for optimal health, especially when fighting off invaders! These should be a part of our daily routine in the cold season and the entire line of Children's Sunshine Heroes covers all of your child's needs. NSP's Chewable Vitamin C is easy to digest, delicious and great for adults and kids alike. Vitamin D is best consumed by going outside every day, but especially as it gets colder that's not always possible. In those cases, here are a couple of options. For kids, consider Calcium Plus D3. For adults (or kids who can swallow pills), there's also a Calcium Plus D, but for extra protection Vitamin D3 is highly recommended. 2) Clean, Colorful Eating. Whatever goes into your body either adds or takes away from the health of your immune system. The cleaner and more colorful your diet is, the better position you are in to fight off colds and viruses. When children avoid eating fruits and vegetables or will only eat one thing, it can be a much bigger deal than parents realize. Without a wide variety of nutrients coming from their food, the immune system suffers. When the body consumes sugar and inflammation inducing grains for too long, sickness is just a matter of time. Eating well is hard, even when you are actively seeking it. It can be even tougher for kids who don't realize the importance. Try introducing a new uncommon food every week. Or make a morning smoothie loaded with spinach (since it doesn't change the taste of anything it is mixed with). 3) Silver Shield Liquid/Gel - NSP's Silver Shield is a wonderful safe and effective product that reduces exposure to disease-causing agents while leaving the good bacteria in tact. Taken internally before and after a day spent with the latest bugs passing around can cut an illness time in half or even better prevent infection all together. The Silver Shield Gel takes immune boosting to another level! This gel can be safely place in any opening of the body so in or around the nose would be great protection from airborne invaders. It also works as a great hand sanitizer! 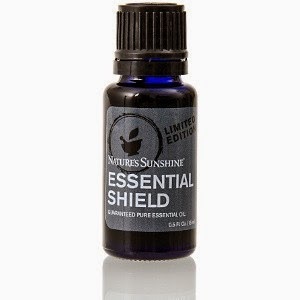 Also, Essential Shield is a terrific topical essential oil blend that contains pure essential oils of clove, cinnamon, thyme, eucalyptus, grapefruit, lavender, rosemary, lemon, pine and peppermint that could be used to keep the air around you boosted with proactive forces! Valerian Root - This single herb helps with relaxation and supports sleep. STRESS-J - Great for kids - it comes in capsules AND liquid! This herbal formula promotes feelings of calm and helps with occasional stress. A racing brain or overstimulated body can certainly prevent sleep. STRESS-J can help with that! 5-HTP Power - Drinking a lot of caffeine? Caffeine wipes out serotonin and can definitely disrupt sleep patterns. Hydroxytryptophan (5-HTP) is an important neurotransmitter that is converted into serotonin in the body. Improve your appetite, mood and sleep! Melatonin Extra - Melatonin encourages restful sleep and helps fight jet lag by promoting the body's natural sleep rhythm. 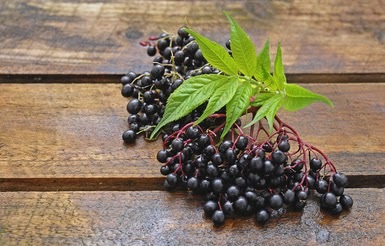 5) Elderberry - The health benefits of elderberries are powerful! Anytime you expect to be or fear you were exposed to something contagious (cold, virus, flu, etc.) we recommend Elderberry D3fense or Elderberry Immune (chewables for the kids). It's a power punch to whatever is lurking in the air! 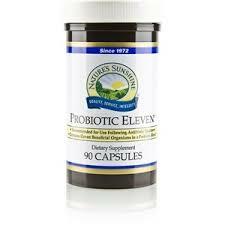 6) Probiotics for Everyone! If you (or your child) have taken antibiotics, you can suppose with certainty that their friendly bacteria has been compromised. In the gastrointestinal tract, there is a very delicate balance that exists between the host and the intestinal bacteria--at least 400 different species of microflora live in the human gastrointestinal tract. These intestinal bacteria alter the chemical composition of foods and drugs, break down dietary toxins, produce and break down vitamins, create toxins and antitoxins, and inhibit the growth of certain disease-producing organisms. When we upset this balance of intestinal microflora with antibiotic use, diet, and disease, we negatively affect the benefits of these microorganisms. This is why probiotics are so important in our daily supplement regime. Lack of good flora in the gut has been linked to all kinds of disease, including brain dysfunction. Our busy lives are full of such complicated stories that our choices are rarely due to just one thing. The health of your body is the compilation of events, choices and circumstances. There is a theme, however, in those with general good health. That health is a priority for them. 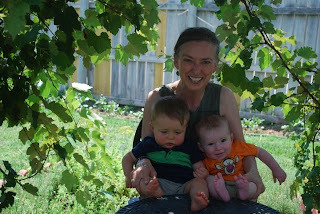 Yes, some inherit better DNA than others. Yes, sometimes we are victims of accidents or events completely out of our control. But wherever your beginning, a portion of health can be preserved by making healthy choices a priority. In our American society, we are conditioned to think that our family has to have and do everything, but demand a healthy lifestyle. None of us are promised tomorrow and yet so many are getting hundreds and thousands of tomorrows, but too many tomorrows are filled with chronic disease and pain that is hindering real living. It's time to make your health a PRIORITY! If you've wondered why joining an IN.FORM session would ever be right for you, consider this. -Our culture is largely against healthy choices and going against the grain alone is hard. -Going on a diet will NOT give you the long-term results you're after. A lifestyle change is required and that involves time, a lot of restarts and support. -The resources available to you, like herb education, the BioTracker, quality supplements, cleansing basics, and clean eating tips, are all in one spot! And available to you for as long as you like! The bottom line is that we believe in healthy living and its ability to change the quality of our lives. Excess weight and subsequent health problems are ruining (and shortening) lives everywhere. We know what it takes to turn the car of your life around and we want you to find that success! Doing it together exponentially increases your chances of success too! 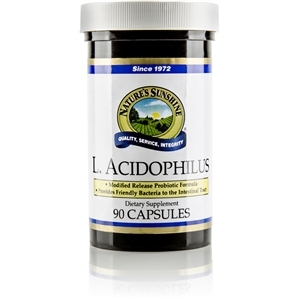 Are you aware of how important friendly bacteria in the intestinal tract is to your family's health? If you (or your child) have taken antibiotics, you can suppose with certainty that their friendly bacteria has been compromised. Can babies be given probiotics? Yes! Babies SHOULD have plenty of beneficial bacteria passed on from their moms; however, if the mom had to take drugs and/or antibiotics during the pregnancy and/or delivery, this could and usually does affect the baby's intestinal flora. Some of the symptoms of this can be thrush, diarrhea, constipation, rashes, reflux to name a few. 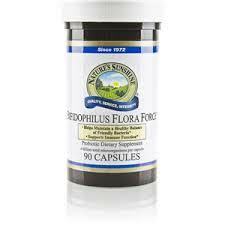 You can open a Bifidophilus Flora Force capsule and sprinkle about a fourth of it directly into the baby's mouth. We have seen babies coo when administered this. It can also be put in a bottle as well. 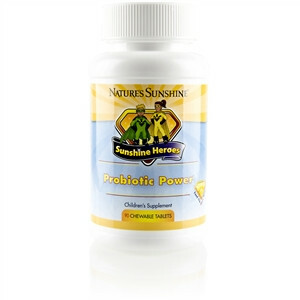 When the child is old enough to chew well, they can have Sunshine Heroes Probiotic Power chewables.